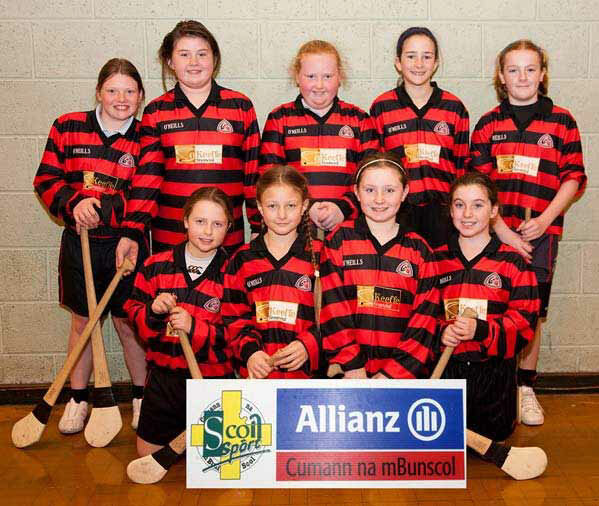 The Ballygunner Hurling Club came as a direct result of the National School in the area at that time. Mr. Mc Ginn was the founding member of the hurling club and was also the Headmaster of the school. He established the club for the children of the area and so started a long and successful history of hurling in the parish. Many great hurlers have graced the halls of our continuously growing school, among them Fergal Hartley, Paul Flynn and Paul Power during the 80s, right up to the present day with Pauric Mahony, Philip Mahony and David O Sullivan still flying the flag. During the 80s the first double was achieved when the school won the U-10 and U-13 finals. The U-10 stars including Darragh Lapthorne, Patrick Maddock and Rory O Sullivan. In the U-13 game Michael Doyle had a fantastic game, ably assisted by the likes of Niall Warren, Derek Kennedy, Ciarán Duffy (RIP) and Pierce Kennedy (RIP). There were both good days and bad in the years that followed with some fine displays from Pat Haran, Tony Carroll and Darragh O Sullivan in the mid 80s. However the next really successful era didn’t come until 2000 when a lot of the present day U–21 and Senior players started to come to the fore. They won the U-11 B and U13 B in that year with recognisable names such as Stephen O’Keeffe, David O’ Sullivan, Shane Walsh, Vinny Molloy and Conor O’Neill. It was after this transition to the A grade that the Golden Era in our school’s history really began. It is quite remarkable to think that the boys had only just entered the top division and instead of just competing they went straight to winning titles in their first year back at the top. They won the A title that year with Pauric Mahony, Jack Ruddell and Brian O Sullivan (Capt.) some of the players who made an impression. The accolades just kept flowing and in the following year they won the U-13 A and U-11 A and also added an U-13 A football title to the haul. They say that winning can become a habit and it appears this is the way it happened in our school at this time. 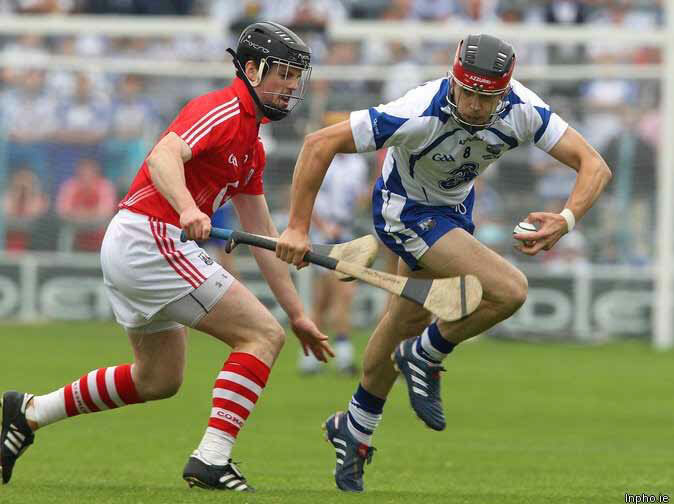 In 2003 and 2005 the boys again won the double in the hurling, capturing both the U-11 and U-13 titles. During this time it was the turn of Tim O’Sullivan, Chris Kervick, Conor Molloy and Jack O’Donoghue to help the team to victory. In the past number of years we have tasted success in 2008 and 2009 with U-13 A and U-11 A titles coming to the parish yet again. During these latest exploits it has been Cathal Ryan, Seán Kervick, Peter Hogan, Shane O’Kennedy and Michael Mahony, among many others, who have been wearing the school jersey with pride. 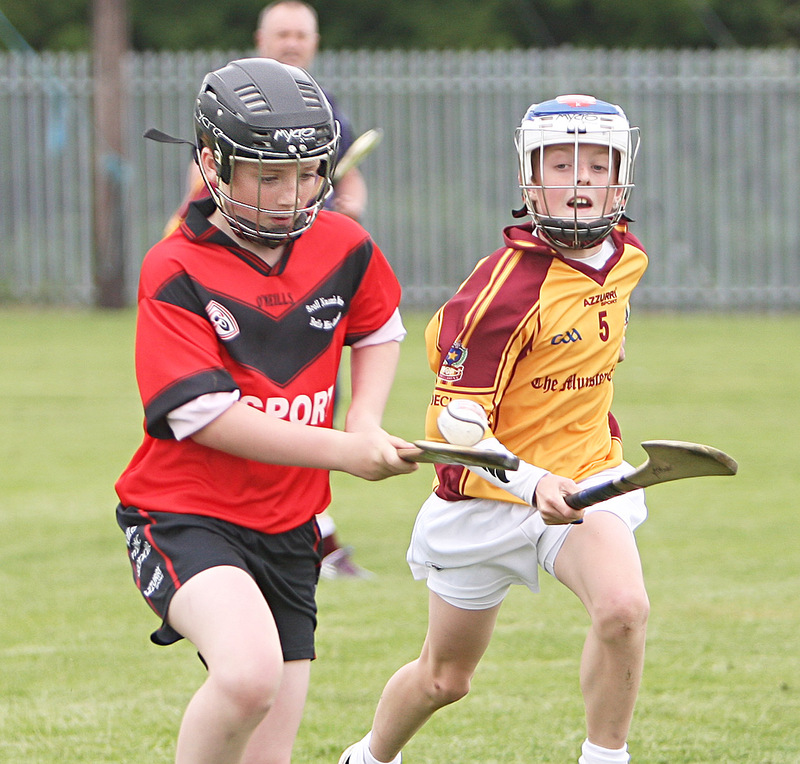 The school has always been recognised as an essential part of each child’s hurling development. A hurley may never have reached as many children’s hands if it weren’t for the likes of Mr. Mc Ginn back in the early days, Mr Hennessy who spent countless lunchtimes in the field, Mr. O’Neill who still to this day is as generous with his time as ever before and Mr. Lonergan will be missed on the playing fields as he imparted some of his Kilkenny knowledge to the eager players in his time with us, before going back to his native land! As principals, Mr White, and now Mr O’Reilly continue to give the game the support it needs to flourish. Each member of the staff has been very obliging whenever it is needed and this all helps the work of the coaches. The football club in our area also enjoys a strong link with the school. Gáill Tír caters for the barony and our school has enjoyed some success on this playing field also. The schools first success was in 1994 when they won the U-10 C title with Mr Kelly at the helm. In 1995 the boys won the U-13 B against Tramore, some of the stars of the hour being Brian Fitzgerald, Maurice Deevy, Alan White and David Delaney. In 1999 they again won the U-13 B with Shane Walsh, Paul O’Riordan and Jerome Kennedy being among the team on this occasion. In 2001 the school won the first ever A title with a win in the U-10 ranks. In this low scoring contest Philip Mahony scored 1 point and Conor Molloy 1 goal to win on a scoreline of 1-1 to 2 points. In 2002 the first U-13A title came with a win in the U-13 A, featuring names such as Christopher Kelleher, Alan Corcoran and Barry Coughlan. In 2003 the boys won the U-10A with Luke Brown and Gavin O Donovan to the fore. Most recently in 2009 the U-13 A title was again won, this time Michael Mahony, Seán Kelly, Patrick Lambe, and Nicholas Byrne. 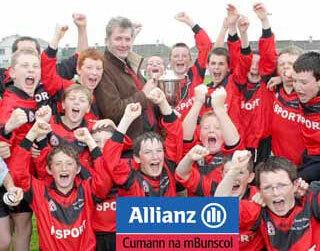 In 2010 it was the turn of Kevin Mahony and Eoin O’Brien to bring back the U-10 title. Football continues to strengthen in our school and we hope to see future accolades return once again. The girls in our school are also catered for with Ladies Football and Camogie entering teams in all grades. The school have a very proud link with the local Gáill Tír Camogie Club and many past pupils wear the blue and navy of that club in many grades. Then most notable successes on the camogie field were a seven-a-side victory in 2004 with Ms Mc Sweeney calling the shots. In 2011, the girls were the proud winners of the Indoor Camogie County Final which caused great excitement in the school. They won the Eastern Final and then beat Lis- more in Dungarvan in a great contest. The girls are also showing great progress as they continue to hone their skills and show great heart and determination when playing for their school. Our school is a proud promoter of the Gaelic Games within a spirit of inclusion and fair play. We hope that our pupils continue to enjoy the opportunity to play which is made available to them. We also wish all our past pupils the best of luck in their sporting endeavors. May the spark that was lit in primary school continue to burn bright. Congratulations to all the girls involved in the Indoor and Mini 7s Camogie this year. They battled hard against Waterpark, Gaelscoil Phortláirge and Newtown in the Indoor but unfortunately the goals just didn’t want to come! The Mini 7s were played here in Ballygunner last Friday in near perfect weather conditions. The girls played a very strong first match against Presentation and came out the winning end with 3 goals to spare. Unfortunately things didn’t quite go our way in the second match against a very strong St. Ursula’s team, but the girls kept their heads up and lifted their spirits to go on to beat Waterpark. Well done to all who took part and we look forward to seeing everyone training hard after the Easter break in preparation for the upcoming league. On the day of the Eastern Final I was very nervous but I was feeling quite confident with my team and I really believed that we could win the game. We had done a lot of prepartion work for the final. We trained twice a week, on Mondays and Thursdays after school. On our last training session it went very well. We all tried our best and hoped to get on the team. On Tuesday before the match the team was picked. I was playing half forward. I was really excited to have made the team but at the same time I knew we had a very tough match match ahead of us. We were playing Holycross NS from Tramore. They had got to the final lots of times before but it was our first time in the final in years. On the day of the match we arrived at Walsh Park at 1;30 pm so we would have plenty of time to warm up before the game. The rest of sixth class were there to support us and we were very glad of that. We warmed up and got prepared for what we knew was not going to be an easy match.